John Paulson, the billionaire hedge-fund manager and one-time opponent of the T-Mobile/MetroPCS rumor is now calling the new company a “likely takeover target” for Dish Network or Sprint. Paulson, who become a 2.3 percent shareholder in T-Mobile US when the company merged with MetroPCS will hold his stake in the company in anticipation of more consolidation in the industry. Paulson sent a letter to clients today, which was obtained by Bloomberg News where he laid out his plans to hold on to T-Mobile stock amid merger speculation. “While the merger closed, we continue to hold the stock as we believe that T-Mobile remains a potential takeover target for either Dish or Sprint,” the firm, which is based in New York, said in the letter. Paulson declined to comment on the letter, but it’s clear his words have weight as his opposition eventually led Deutsche Telekom to up their offer for MetroPCS out of fear the deal would be rejected by shareholders. A T-Mobile, Dish Network deal we can picture and we know the two companies have talked about such things before, but a Sprint deal in a post SoftBank world? I don’t know, anything is possible but the former seems more likely than the latter. T-Mobile CEO John Legere stated last week that he would evaluate any proposed deal which would bring value to the company’s shareholders. Wouldn’t mind cash from Dish, but they’d have to let Leger and the rest keep running the mobile business. T-Mobile has a good thing going, and if it can get more spectrum and cash to increase coverage, it can start scooping up more customers. It would come at the cost of Uncarrier being nuked and rates rising dramatically, though. As much as I’d love to see Sprint gain more spectrum and have their executive team wiped out by T-Mobiles team, I got to say, that Sprint hand their chance, and with the government wanting a minimum of 4 national players, Sprint will have no hand in T-Mobile, Softbank might, but Sprint will be separate. Additionally, Dish Network has the money to buy out and invest in T-Mobile, more so than it did with Sprint anyway, so I see this happening by year end. Dish’s takeover was hugely debt-based. Dish may try for an acquisition anyway, but T-Mobile may not want it. Saddling the company with tons of debt would force them to jack up prices, and Charlie Ergen is a maniac in a bad way more than Legere is a maniac in a good way. if t-mobile switches from GSM im jumping ship and will just not use a cell phone at all. They already are. They’re using almost exclusively WCDMA and LTE at this point. Oh, you’re talking about switching to CDMA? Even if Sprint buys ’em, I wouldn’t worry about that. At “worst” phones get CDMA capabilities, without losing GSM+WCDMA. If you’re talking about losing SIMs, I wouldn’t worry about that either. I think phones that work off AWS spectrum will be more important looking toward the future. Verizon has committed to releasing phones next year that work off LTE only. Meaning no CDMA. Just voice over LTE. Let’s say what Verizon will be using for VoLTE would be an industry standard, then you would theoretically be able to take your Verizon LTE phone put a T-Mobile sim card in it and be working provided you have LTE coverage. Same thing with at&t. In fact, Sprint will be the only carrier in the US who will be releasing LTE phones that won’t work on the AWS band. LTE is not for voice with any carrier in the world yet, so that’s not a valid reason. Verizon and Sprint still use CDMA for their 3G, 1xEVDO, and voice and it’ll be quite awhile before the deploy VoLTE. Well, VoLTE is the future and T-Mobile has much too large of a GSM network to convert the whole thing. It doesn’t make strategic sense. VoLTE is the future, but it won’t be for awhile. Verizon was planning on trying it this year but that has been pushed to the end of 2014 and analysts state that we won’t even see any phones that are LTE only until 2015. Nope, it needs the hardware, which is in only one phone in the entire world and it will be used in South Korea later this year. They’re usually a couple years ahead of the US in technology deployment. What I stated for phones VoLTE phones available until 2015 is for Verizon phones. Look how long it took the other carriers to start pushing it out. It took T-mobile 2 years to deploy 3G after everyone else had it and it’s taken them 2 years to deploy LTE after Verizon and AT&T had. I expect about the same for VoLTE. VoLTE should be a little easier, though. It’s not placing cell technology on every single tower, it’s mostly a software upgrade and new phone hardware. Trevor, please do a quick search before you post. This is you’re third assumption in a row that you are incorrect on. It’s not a software upgrade to the towers but they have to do hardware upgrades too. Also, there’s the issue with VoLTE not having as much range and more signal degradation compared to CDMA or regular GSM. That means if your network isn’t that great to begin with then it’ll be worse with VoLTE(ie. Sprint and T-mobile). Alright, seems logical. Check your second sentence, though. I know it’s just a typo, you’re a smart guy. VoLTE seems great and will no doubt be improved soon. You know why T-mobile took so long for their 3G correct? Lack of spectrum, which is still an issue with them. It’s also the reason why they won’t expand their network. The DOJ wouldn’t allow it. The AT&T/T-Mobile failure made it clear that they don’t want any of the Big 4 merging. Dish, of course, is still an option. Correction: they don’t want AT&T or Verizon to get (much…see CricKet) bigger. The feds would probably look on a merger that ends up the country with three nationwide (including rural) carriers that each control around one-third of the market in a better light. Particularly if the entity spun off some spectrum to Dish or whoever to be a new #4…and/or gave a guarantee that they’d roll out their network to areas that are currently AT&T/VZW only (or even AT&T OR VZW only) on a relatively tight schedule. If Dish Network or Sprint were to buy T-Mobile what then? isnt GSM good or CDMA better? I do not think a Sprint – T-Mobile merger will happen. I do not thing it would not pass through government because of the merger with Softbank and Clearwire. 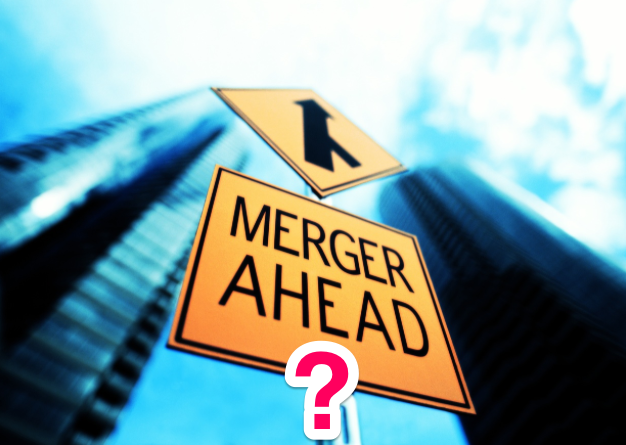 A Dish – T-Mobile merger might happen since the acquirer would be a company outside of the mobile space. In any case I hope they do not mess with the current path T-Mobile is on. I like this path. Ewwww Sprint. I think that Dish and Tmobile can come up with a alternative like tmobile can buy Dish Spectrum and launch Dual Band LTE that’ll be cool. The dream as T-Mobile fans is that T-Mobile takes over Sprint from Softbank with a tiny controlling stake as they are a smaller company. Softbank holds let’s say a 49% stake in the combined company. Then since T-Mobile is running the show, they divest all the spectrum and wireless bands unique to Sprint that they will never need off to Dish Network. This would appease regulators as that would create a 4th nationwide network in the US. Let’s say they part with some customers too. Then they slowly migrate the majority of Sprint’s base over to T-Mobile naturally like with MetroPCS customers now. Or Dish could operate the entire CDMA network while T-Mobile just keeps the spectrum it needs for LTE. It always really perplexed me how much effort Sprint put into being against at&t acquiring T-Mobile. So true, but I think you forgot a LOW COST PIECE OF CRAP! Sprint only got more customers because unlike T-Mobile they had the iPhone and could say they had LTE coverage. Just give T-Mobile a year and they will be the number 3 carrier especially now that they are cheaper than Sprint, have the iPhone, and have more LTE coverage with faster download speeds than Sprint. T-Mobile is great, but it’s incredibly naive to think they could close a 10 million customer gap in one year. Even doing it in three years would be a blistering pace. Didn’t people say the same thing about tmo’s LTE deployment as well. They have already surpassed Sprint in 6 months. That’s fine & great & all, but changing over towers isn’t the same as signing up new customers. Anyone who seriously thinks T-Mobile can close a 10 million customer gap in one year is just dreaming. It’d be awesome if they did, though. I’m just trying to be realistic here. They had about the same amount of customers before LTE and the Iphone, so that argument doesn’t hold water. But they are not cheaper than Sprint. Sprint’s unlimited plan matches up directly with Tmobile’s unlimited plan when you have more than 3 lines, and Sprint is cheaper by 10 dollars when you have 1 or 2 lines. ( this of course is with Tmobile’s 20 dollar EIP). Lets compare the cost of ownership of an iPhone over two years on both then then on one line. As the math shows, Sprint is cheaper. You can easily verify my numbers. As for your coverage point, I have to disagree. The vast majority of Tmobile’s coverage is 2G. That is barely coverage at all. Sprint at least has 3G across its entire network and is planning on deploying LTE across its entire network, while Tmobile is only doing it across its 4G network. And if that was not enough, Masayoshi Son(CEO of Softbank) has stated that they plan on expanding Sprint’s coverage to match Verizon’s LTE coverage. OK, lets take your hand picked, worst case (most expensive) scenario for t-mobile and look at a couple things you failed to mention. 5. Phone bill drops 20 dollars a month the second the device is payed off. 6. The full price of the iphone 5 on t-mobile is currently 650, but it has been 50-100 dollars less, and likely will be again. 7. 95% of consumers would be paying 2090 over 2 years using the unlimited (throttled at 2.5GB) per month plan which is less than Sprint and gives them a better overall value (in addition to what I listed above). How is comparing equal plans( both have unlimited talk, text, and data) the worse case? Both Sprint and Tmobile toot their unlimited data plan as a differentiator. Add in the activation fee, and Sprint would still be ahead when you compare apples to apples. If you tether a lot, then Tmobile is the better options, but tethering is not something many people need. Also my point was Sprint was CHEAPER, which has not been refuted. iPhone on Sprint actually works on more carriers than Tmobile’s. Sprint’s iPhone can work on Sprint and all of its MVNOs, PLUS ALL GSM MVNOS. So even with Tmobile’s drop in price after two years, it would still take 45 MONTHS to break even. 6) Tmobile ate the cost, because they wanted to get people in the door. Their has been no indication that Tmobile will eat those costs again. You cannot logically conclude that it will happen again. Apple may even raise the price of the next iPhone so that Tmobile’s price matches their subsidized price from other carriers. Apple is not known for letting competitors sell their items for less than them. 7) Not apples to apples, I could say Most of those people do not need more than 1Gb and Sprint’s 1Gb plan is cheaper for them. But still, savings of 30 dollars over 2 years is not much, when you consider that one has TRULY UNLIMITED, while the other THROTTLES you to 60KBPS after that data allotment. Your comparison was not apples to apples either. That’s the point. You didn’t include tethering on your sprint “because most people dont need it” but it’s included on t-mobiles plan, therefore in your logic, it wasn’t apples to apples. I’m not going to argue over blatantly obviously things here. T-mobiles 50 (plus 20 for EIP), and 60 (plus 20 for EIP) is what nearly all consumers will pick (and are picking) and it is priced better than something similar from sprint. PERIOD. If you want to argue that Sprints heavily advertised unlimited everything plus 5GB tethering for 110 is cheaper than something similar on t-mobile, go right ahead but it wont have anything to do with what the average American consumer will pick/use. And finally, sprints iphones (and blackberries) are not allowed to be activated on most sprint MVNO’s, and Verizon also refuses to activate a sprint Iphone. You can take it to ATT or T-mobile (degraded performance) and use it on their GSM networks but not their LTE. If all consumers pick the 50 dollar plan and the 60 dollar plan, then why bring back the unlimited plan? Oh that is right, because they were losing 500,000 postpaid subscribers a quarter. You have to provide data to back up the claim that they are picking those two plans. Considering that Tmobile is rumored to be gaining subscribers and the only real difference is truly unlimited data and the iPhone, I am more inclined to believe unlimited data has a big part in growing subscriber numbers. Sprint has a 70 dollar 1Gb plan, which clearly gives more data at the same price as Tmobile’s 500Mb plan. That is a bald face lie, Sprint allows their MVNOs to use their devices, They made a headline saying so months ago. It was all over engadget and theverge. Sprint iPhone works on Sprint, Sprint MVNOs, ATT MVNOs, Tmobile MVNOs, International LTE network on 1800 and 850, and their are a lot of 1800Mhz LTE networks. It is becoming the default LTE band along with 2.6Ghz. Clearly Sprint’s iPhone has access to all the networks Tmobile’s can do besides 1700 LTE, while giving the user access to all of Sprint and their affiliates and LTE networks across the US. Unlimited like T-mobile’s? Like unlimited minutes as well? Yes. Check their new unlimited my way plans on their site. They are already official. There still over priced,, Sprint unlim 30. TMOB unlim 20. Sprint used to be around 30 mil. They acquired Nextel with another 30 mil. They used to be alongside with Cingular and Verizon Wireless. The problem with Sprint is their bad management. They’ve the most spectrum and yet they have no use for it. What is TMO worth a few billion? How many US customers does TMO have? More than the population of Canada. T-mobile was going to be bought by AT&T for $38 billion but that was an inflated purchase. Most estimates had it at $18-24 billion before AT&T made the offer. They wanted to knock off a competitor. then t-mobile coverage will be distant fourth place and going to be slow death for t-mobile. With the debt that Sprint and Softbank have? I don’t see that happening EVER. I think T-Mobile is better off buying Dish Network’s spectrum or Merge and let T-Mobile run the show. Dish Network buying T-Mobile is a bad idea. I don’t trust Dish. Well here’s one. I was with Dish Network for 8 years and they were great. Only reason I don’t have them now is because I cut the chord. I agree with you, If Dish wants to PARTNER with T-Mobile to use the spectrum, LETTING T-Mobile control operations….. that I could live with. Having Dish take over, HELL NO!!!!!! Apple buying T-Mobile hurts me to even think about. Google on the other hand is an exciting prospect. Why does T-Mobile have to always be a damn takeover target . Let the company stand alone for a while. t-mobile does not have sub 1Gz frequency, their indoor coverage is always going to be bad. not good to be fourth operator. They might be on their 1900 band in those cases. Isn’t that their normal operating frequency? The consensus I’m seeing online is mostly 1900 for 3G with some 850. I know that AT&T and Verizon both use 700 for LTE. that is b.s. let us deal with the outdoor coverage first. tmo’s signal strength is 10-20db weaker than att, even outdoors. THAT is the root cause of indoor penetration problems- weak signal. I get 5 bars of service in my office building in Manhattan. It doesn’t matter if it is indoors, it matters what and how the building that you are in is made. True, and the signal strength and other factors but many people are spreading the FUD that it is due to the frequencies involved. I switched to at&t and I get HSPA+ 2 floors below ground but no LTE. Above ground, I get LTE and HSPA both, strong signal. It so happens that at&t’s LTE at a lower frequency than its HSPA. Tmobile at the same location, above ground good signal and two floors below, no signal – not even GSM. Yes, T-Mobile badly needs the lower frequency spectrum. 600Mhz would requires lots of phones to be replaced. Hope they bring wi-fi calling to iOS. can’t you read ? In my previous post, I showed that ‘lower’ frequencies are not better for building penetration. You can verify this. Stop parroting bull $hit. What did you show? I did verify and a Google search shows tons and tons of articles and blogs about why lower frequencies penetrate buildings better. The problem with lower frequency is that it doesn’t have as much bandwidth. You could be correct, in part, on the db level but it’s also the frequency that’s causing the issue. By the way, the outdoor coverage would be better with the lower frequencies too, because they travel farther. But you don’t get wifi-calling if say you own your phone and put various rom’s on it for better performance. SGll for example has wifi calling built into touchwiz. Take that bloatware off the phone and you lost wifi calling. It used to be a standalone application. For a carrier that says bring your own phone and pushing wifi calling as their answer for poor indoor reception, they are sure messing it up by not having wifi calling available for any device the customer brings. TouchÃ© … yes, it’s my only gripe about it. The XDA developers are working on a fix for that so that it can run on the roms, but it’s not there yet. T-mobile wanted to get out of the US. It all started back when they won the 1700Mhz spectrum from the US Government. They took very long stop using this and T-mobile has been late on everything since then. 3G, 4G, LTE, etc. Otherwise you would’ve been telling a much different story. So effectively this stockholder is saying – T-Mobile as is doesn’t screw the customers hard enough for enough money, they need to be bought out and disassembled. I personally became a TMUS shareholder for this exact reason. I love my TMO. I have loved it since January 2009 when I switched from ATT & Verizon (yes, two provider household at the time) and got two shiny G1’s plus T@home phone service. Now I’m ready for TMO to partner with my satellite provider, Dish. And if I make a few $, sweet. You’ll lose money overall when rates increase and contracts return. What kind of moronic response is this to my post? It makes no sense. I mean that, if Dish buys T-Mobile, they’ll raise the rates and bring back contracts. IT wouldnt be Sprint it would be Softbank their primary share holder and Dish could be a good blend if structured properly. I don’t think people understand the position Sprint is in. They have a GANG of spectrum. More than Verizon. All they needed was the money to build it out, which they finally have from Softbank. The Sprint network will be solid within two years. I would much prefer Sprint and T Mobile joining forces, as apposed to Dish Network. I don’t trust Dish at all. They would run T Mobile right into the ground. Sadly, T-Mobile and Sprint use way different spectrums and bands..
On the day of Nokia 925 you put this out? You can do better. We don’t come here to read what a fund manager thinks. I go to Wall street for that. 1) He already reported on Nokia 925 availability. 2) This is a Tmobile news site, and this article is relevant to Tmobile whether you like it or not. 3) if you’re trying to change his mind about posting articles like this, driving additional traffic by leaving comments is probably not the way to do it. Dish maybe.. Sprint.. mmmm.. I think we would see the same opposition as we did with ATT.. it would eliminate the 4th largest carrier..
Several of the arguments deployed by the DoJ and FCC against the AT&T takeover would apply equally to a takeover attempted by Sprint. AT&T would certainly pull out all the stops to publicize that. if this happen i would feel the doj and the fcc would be against it too just the fact they want competition between carriers for customers. I am just wondering if this would be a good move for Google or Microsoft. Where do I go to put a bet on the outcome? Rather it be Google. Android all day compared to the alternative. Microsoft would be nothing but that ridiculous Metro UI’ed Windows Phone crap! or Apple. You’re right about that metro UI but some like it. Crazy! This people only care about how much money they can get out of things. For the love of God!!! he even said that he will hold on to the stock in the hopes someone wants to buy the company and offer him more money for it. That’s what investors do. They aren’t customers and don’t care about the company, just how well it performs for them. Think I care about the companies I have stock in, besides how much increase in profit they did last quarter? How dare he act like a capitalist! STFU Paulson. greedy, ignorant rich people. a takeover huh? someone slap him. T-Mo and Sprint Unlim is the same thing. Jsut sprint charges more for it. Only thing that is different is that you are going to get faster speeds in more areas with T-Mo then Sprint. Both carriers have no caps on there Unlimited that I know of. T-Mo has no cap since I have used over 50gb in a month and never been slowed down. I agree with u I have tmob and I have 4 phones total and total is about 95 gigs of data used and no caps..someone on here said..southern nerd.about Sprint service being flawless and better than tmob and I disagreed with him.. Which ever nerd that is, is completely wrong. I live in the Southern Area, T-Mobile and Verizon dominate down here. I’m currently with T-Mobile. I once had Sprint and I will never look back at that carrier nor will it ever cross my mind. At&t and Sprint are by far the worst companies I’ve ever been with. Sprint never had any signal and had slow, and I mean very slow speeds. At&t was too expensive and messages would barely send. I chose T-Mobile 5 years ago and will continue to stay with them. I just hope they don’t get bought out, I was ready to flee when I heard At&t was going to buy out T-Mobile. Lol what a joke. When I was with Sprint, they promised 4G wimax for 3 years and we never received it. The horrifying 3G speeds could not even load on speedtest app. When I spoke to them, they said they would help by giving me a discount. I told them straightforward even if the service was free, I would still pay to use T-Mobile, that’s how fed up I was with that carrier. Verizon is good to me, you get what you pay for. But T-Mobile you get alot for what you pay for and I rarely travel so I’m a happy camper on T-Mobile. Add in the 20 dollar EIP for each phone on Tmobile, and boom 260 Tmobile price. Tmobile fanboys are getting worse than apple fanboys about cherry picking information. Tmobile Service and Plans are “Outright” better than Sprints!!! Are you smoking something Nerd? That is subjective. It really depends on need. If the person likes to upgrade phones often, then Tmobile is the better option, but if the person likes to keep their phones for more than a year, then Sprint is the better offer. If they tether a lot, then Tmobile is the better option. Also service is another subjective thing. That is heavily depends on area you live and travel. If you travel a lot, then Sprint will likely be better, because they have nationwide 3G coving their entire network, while Tmobile only has 4G in urban areas, BUT if you live in an area with slow 3G from Sprint, then Tmobile is a no brainier. They have HSPA+ 42 and LTE. Another thing is that Sprint has 800Mhz, while Tmobile does not. That is a huge differentiator in terms of coverage. This is why I only argue on points that can be proven or disproven, like a claim that Tmobile is cheaper than Sprint. Nope Fact, not subjective at all. You stated …”but if the person keep their phones for more than a year…Sprint” How so? Logical answer please. Especially, when you don’t pay a subsidized price or interest over time with Tmobile. Have you heard of Tmobile’s Jump? Plus, GSM is Globally Used. I can go overseas without any headaches. Can you do that with Sprint? Does Sprint offer WiFi Calling? Anyway…. How much did you say Sprint was paying you for your post? Can T-mobile work in most of Western Kansas or Eastern Colorado? Nope, but Sprint can. Been to both works great!!! And WIFI Calling when it doesn’t. No WiFi Calling anywhere with Sprint… Too bad! No you haven’t. My family lives in central and western Kansas and I travel from Colorado Springs. The first hour of the trip has no service and in Kansas it goes to hell. Yeah, WIFI calling is great in a car…..not. I have to agree. T-Mobile gave me “No Service” in many places like west of Woodland Park, Lamar, La Juana, out east past Limon, etc. I dunno about Sprint, I didn’t have them when I traveled like that. If Wifi calling was such a major thing, then why haven’t other carriers jumped on board? Oh thats right, because wifi calling is Tmobile masking their poor in building coverage. Keep going, I like disproving your “Facts”. I do not work for Sprint, I just like people to use facts when making arguments. Your Numbers are completely bogus! Let me help with simple logic! The lower plan without subsidies or interest will always when – short term or long term, my statement regarding GSM is less a headache going overseas if you already have a GSM phone. CDMA Is Not Global Standard. I am starting to hear crickets after your posts. If they are bogus, then DISPROVE it. You keep calling them bogus, but easily verifiable numbers continue to disprove you claims. Post links disproving my numbers. Dont worry Ill wait. Anybody can go to Tmobile’s and Sprint’s websites and check to see my numbers are true. You make claims without any evidence to back them up. You do not have to get butthurt because the facts are not on your side. Sprint is the cheaper unlimited carrier now. it is not the end of the world. CDMA and GSM are global standards. They are both used globally, so therefore they are global standards. GSM is used more than CDMA, but that does not take away from the fact that both are used globally. Also, like I said before, Sprint’s newest devices all have removable sim cards for easy international roaming. S4, HTC One, and iPhone 5 all can be unlocked to be used internationally with no fuss. No need…you already have disproved your statements with your post. Everone here already know what is posted on Tmobile’s and Sprint’ s websites as it refers to their plans and cost. I do not need to waste time with you and your agenda. I disproved my statement? You are really reaching there. I did not know posting facts and verifiable numbers were apart of an agenda. What is this agenda of mine? Not let mindless fanboys get away with posting FALSE information? Sorry but “The lower plan without subsidies or interest will always win” does not hold up. Math says your claim is FALSE. No…what is posted on the carrier websites as it refers to plan cost says your claim is FALSE! We call what you do Trolling! Please do not tell me you have split personalities. Who is we? So posting facts is now trolling? Posting the total cost of ownership over two years is trolling? This is getting sad, even the most deranged fanboys would have given up this farce of an argument by now. There you go again calling my claims false, with no facts, links, nothing. So according to you my claim is false, which part is false. Is Sprint’s plan not 80 dollars? is Tmobile’s plan not 70 dollars? Is the phone without a contract not 650 dollars? Does Sprint not sell the iPhone for 200 dollars? Show me where the sites differ from my pricing. Post a link with it, so everyone can verify that I was wrong. I now know you have a problem with reading comprehension. READ MY MAN! $70 < $80, Tmo LTE is faster than Sprints. Jump includes insurance cost in the plan! I don't need tp prove anything. Because the educated Tmobile Customers already know which is the Better Carrier. I believe you are only here truly because you are either contemplating switching to Tmobile or like I said earlier you are being paid by Sprint to Troll! So Tmobile is cheaper when you have no phone to use. I will concede that point. I am not sure why someone would buy a sim card with no phone to use it, but I am not here to judge. Otherwise, when you actually buy a phone, Sprint is the cheaper carrier. Better is subjective. That is based on a ton of factors, which I am only referring to cost of service. Educated customers also know how to do simple math to see that Sprint is cheaper. That does not mean they are better, just that they are cheaper. To quote the Great Indigo Montoya, “You keep using that word, I do not think it means what you think it means” . If I was a troll, then I would have been banned, but I have not. The current mod in this comment section actually understands the point I was making. Also, I do not even have Sprint service. That is how far out on the deep end you are. I have been visiting Tmonews for years. I was here when everyone thought Philip Humm was going to be the one to turn TMUS around. I am here, because I enjoy the content that David provides. I am here, because I like to read up on the good moves that Tmobile is making to make themselves competitive again. I want the US market to have 4 competitive carriers. When you consider that Sprint’s 3G data speeds are often slower than T-Mobile’s 2G data speeds, then T-Mobile’s $50. is plenty! Then add in a phone, anywhere from $7. up to $20ish, and you still come out ahead of Sprint’s $80. plan. Even getting the T-Mobile $60. 2GB 4G data plan plus a $20. phone is still the same price, but the speeds of data are better than Sprint’s. Getting the $70. T-Mobile unlimited 4G data plan plus a $7 or $10 phone, is about the same price as Sprint’s $80. unlimited slower 3G data plan. The insurance plans on both are a wash, the exact same, except T-Mobile offers a new phone every 6 months. Both carriers are about the same price points depending on need of service speeds & phone types. Sure, if you go with T-Mobile’s unlimited 4G at $70 & get a top of the line phone at $20 per month, it will cost more than Sprint. But, unless you live in one of those few Sprint LTE cities, you will be getting that $10 more worth in faster speeds. Sprint’s 3G is dirt slow, I know, I’ve had to use it. I averaged around 2-3 Mbps downloads, and perhaps 5 Mbps on the good days. With T-Mobile 2G/Edge I could get 2-3 Mbps too. On their HSPA+ I would average about 5-10 Mbps depending. Unless Sprint steps up and really wows people, I really do not see them keeping that #3 spot long. That is another reason Sprint & Soft Bank made a deal, Sprint needed more fuel to keep in the race. I don’t knock Sprint, they do try. They messed up buying Nextel, but now that they have shut Nextel down, that spectrum is coming in handy. Sprint network is a disgrace. Poor coverage and laughable data speeds. I paid $820 in early terms fees on 5 lines with Sprint to come back to TMO. No more dropped calls and great data speeds up to 16 Mbs. Oh and my monthly bill is still less than Sprint including the EIP on 5 phones. In the end, Sprint is the cheaper of the two regardless of how you want to look at it. Now, I am from Detroit, MI and I know that TMUS speeds and coverage are solid here. Sprint is solid coverage wise here but their slow 3G speeds are horrible. Until everything with SoftBank and Clearwire is completed, I wouldn’t touch Sprint. They really gotta get their data speeds SIGNIFICANTLY IMPROVED! TMUS is showing signs of progress with the MetroPCS and the new leadership. I like where they are going but let’s see if they can follow on improving coverage outside urban/metro cities. Could this be Phase 3. who knows. For a person who doesn’t require unlimited 4G data, while still having unlimited 3G data, you can knock off $480 ($60 plan) to $960 ($50) on the above prices. $50 per month plan which includes unlimited 2G/3G depending on area and 500MB of 4G. $60 per month plan which includes unlimited 2G/3G depending on area and 2.5GB of 4G. So, depending on which plan you choose, T-Mobile can range from nearly $200 more to $700 less over 24 months while still giving you unlimited minutes, text, and data. But if he pays for his phones out-right, his plan still remains cheaper. Also, not all monthly payments are $20, so your argument still has no merit. And lets see, in Chicago, all my friends with Sprint LTE have avg. download speeds of around 10-12mpbs when they can get an LTE signal. I’m using the 1st generation GS3 with no lte and get avg of 12mpbs using HSPA+. To have that as a backup, on top of LTE, you can’t really beat that. Thats also something that makes ATT service worth considering (but their prices cancel out that consideration). But the total cost is not cheaper. Paying for your phone upfront or in payments does not make the phone cost disappear. I am not here to switch people. I am just correcting people of the error that Tmobile is cheaper than Sprint. That does not mean Tmobile does not provide more value to many people. 200 million people have ATT/Verizon, even though they do not have the cheapest plans. Price is not the only determining factor. LTE on top of HSPA means nothing really if a carrier deploys LTE across their entire network like Verizon has done. It really only has benefit if the carrier does not deploy LTE nationwide. I would jump to AT&T or Verizon and never look back If sprint bought T-Mo. I refuse to be on sprint again. EVER. Just became a TMo subscriber because of their amazing plans (cheap, unlimited data, no contract, includes hot spot, wifi-calling, and last but certainly not least, jump). A takeover is my worst nightmare. Whatever company comes in is going to ruin them and turn them into the same carrier as all the rest. im gonna cross my fingers for the best for tmobile i love them and their services and hope the fcc and doj still feel the same when att tried to buy them out and want to have 4 nationwide carriers for competition for customers. if sprint would ever buy tmobile it would make 3 carrier which is a big no no im my opinion. plus i would think sprint would have to ask soft bank for approval sense they own majority of the company lol. but maybe t mobile would do the opposite and do the crazy and buy dish network their spectrum lol. but seriously though im really hoping no one would touch tmobile and a speedy merger process with metropcs so they can hurry and make a profit and catch up to the other carrier. im enjoying unlimited data with reasonable speed unlike sprint. Takeovers mean 1.5 to 2 years of stalled network upgrades and high employee turnover since the current owners aren’t going to want to spend money on a company they are going to sell. Not sure why everybody is so concerned about a takeover, at least from Dish. They wouldn’t get rid of T-Mobile. More than likely both Dish and T-Mobile would be run under an umbrella company, with both brands continuing to exist. 2. More spectrum for T-Mobile. 3. More cash flow. This can be used to gain even more spectrum through other, smaller takeovers, plus auctions. This would also allow for an even faster network upgrade. 4. Cross-selling/bundling. Coming up with packages for Dish and T-Mobile. This would increase subscribers for both brands. 5. Advertising – Dish owns a satellite TV network. They have advertising slots set aside just for them. They can either sell those slots themselves, or they can advertise their own products. This would allow T-Mobile to greatly increase advertising coverage to Dish subscribers. Cost and superiority are two different things. You couldn’t pay me to use Sprint but in most scenarios Sprints new plans end up being less $. Never said either were superior. I strictly said Sprint’s plan cost less over the course of a 2 year period. Guess that helps customer service reps to improve their service and focus on real issues instead of customers calling every now and then and demanding free phones aye? Very fast. The only down side is the data cap of 3.5 GB is ridiculous. I have the T-Mobile 70$ unlimited plan and I average about 16.5GB a month. Not to change the subject, but I kinda miss the “Sightings” blog on here. LOL. I’m not sure a Sprint takeover would be welcomed by the government. Dish could be a possibility. I’m curious as to how DISH has so much money. Don’t see Sprint … The Govt would have the same issue with that as they did with AT&T. They made it clear they want 4 separate mobile networks for competition. DISH, sadly, may well happen. I truly hope not… I don’t like the CEO, I hate their support, all around would not be good.. They are already sinking as cable cutters become more prevalent. Horrible idea to get bought by a sinking ship.. Especially when the T-Mobile strategy is working. Dish likes contracts. I’m certain that would return.. And as with most buyouts, they would make changes to make their mark and most would likely not be for the better. Just more ways to squeeze money out of customers. Meh. Would be a horrible day. Paulson needs a merger to happen in order to recover some of his massive losses his hedge fund empire has been taking as of late.